VULTUREMAN invents a Voice Imitator, which imitates the THUNDERCATS’ voices. He uses it to lure each of the THUNDERCATS into perilous situations. A GIANT BEE attacks CHEETARA; TYGRA confronts a GIANT WRESTLING TABBUT; and the THUNDERKITTENS are trapped in the Vortex. 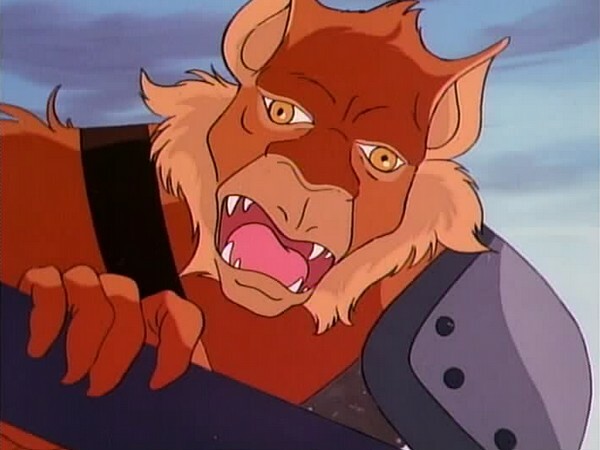 LION-0 does his best to rescue each of the THUNDERCATS from their dangerous situations, and PANTHRO finally deduces that the cause of the confusion is VULTUREMAN’s Voice Imitator. 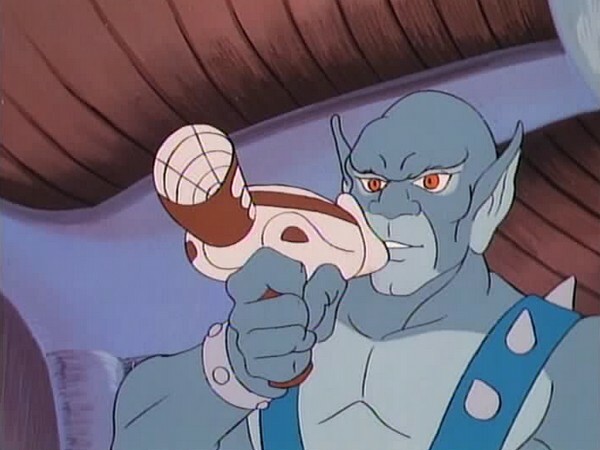 PANTHRO turns the tables on the MUTANTS by using the Voice Imitator to steer them in to a multiple SkyCutter/NoseDiver pile-up. 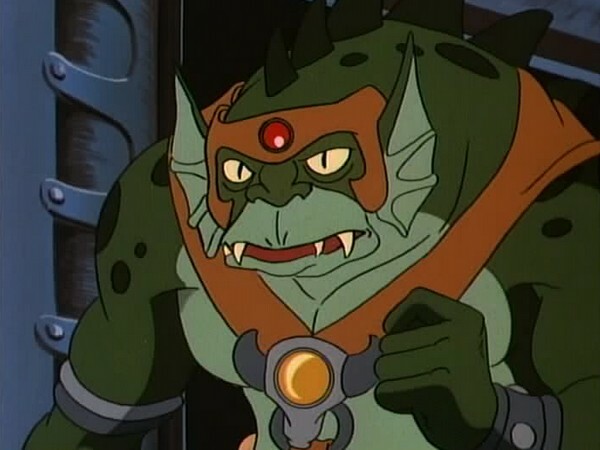 TYGRA speaks for all of the THUNDERCATS when he re-affirms that they should always rely on communication with one another and try to work collectively against their attackers in the future. Through the use of a voice imitator, the Mutants almost succeed in deceiving and conquering the ThunderCats. Isolating each of them from the others, they seek to preoccupy and destroy them individually. 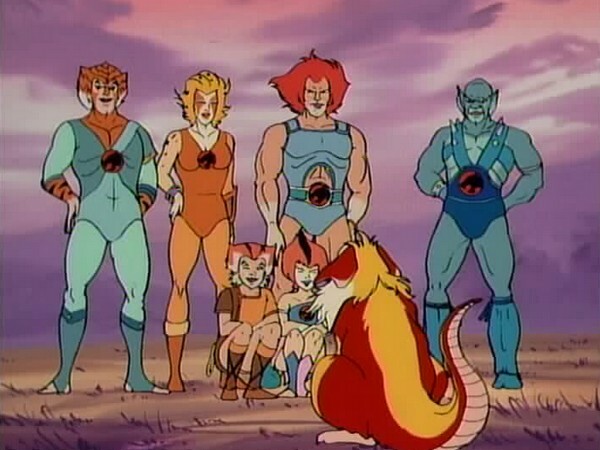 The ThunderCats unwittingly play into their hands by not calling for help and working together. Only when the ThunderCats are able to band together once more are they able to turn back and beat the Mutants. Sometimes we enter into a way of thinking that tells us we are better off being alone or trying to do something without any support or help from our family and friends. This can be a deceptive and dangerous way of thinking. Even if we seek to achieve something independently, we don’t have to do it in isolation and without anyone’s knowledge and support. In some instances, isolation can even be dangerous, e.g., when we go swimming alone, or when we try to face some danger alone. We live in a social network of family and friends, who are important to us and are there to help us. We must not let ourselves feel too isolated to ask for help when we need it. “Divide and Conquer” is a difficult episode to criticise. Normally when making this statement about an episode of ThunderCats it would be because the episode is a brilliant example of fine storytelling in animation, or because it’s beautifully directed, or action­packed and exciting, or has wonderful animation. In fact, this episode doesn’t really boast any of those qualities to any great degree – why it’s difficult to criticise is not because of anything that is really right about it but simply because there’s very little specific to single out as being wrong with it. It is, in all honesty, a solid but uninspiring episode of entertaining action sequences and a moderately good plot, that almost glories in its own blandness. Whilst this might seem rather harsh when made as a sweeping statement, in truth this episode does little to truly inspire. Where other episodes may have engaging storylines, this one has a decent and relatively original one; where other episodes have superb action sequences, this one has relatively good ones (with a couple of highlights, notably Lion­O facing off against Jackalman in Castle Plun­Darr’s dungeons and also Tygra’s duel with a Giantor); where other episodes have eloquent dialogue, this episode has functional dialogue that serves to effectively move the storyline along, and so the list goes on. In fairness to the episode, and to its writer Lee Schneider (making his debut as a scriptwriter for the series with this episode), the basic, broad premise of this episode is much better and more interesting than the finished product ends up being, that premise being that one of the ThunderCats’ greatest strengths is their teamwork and the way in which, in perilous and/or combat situations, they so effectively work together, and if this can be neutralized it could weaken them. Unfortunately, the problem with this idea is that there are a finite number of ways it could be implemented – one of the most effective ways would be to somehow sow the seeds of discord amongst the ThunderCats themselves, thus breaking down the trust between them. However, the problem with this is that, at this stage in the series, the ThunderCats have lived together so long and functioned as a family that something that could break up that unity is, certainly at this stage in the series, absolutely inconceivable. 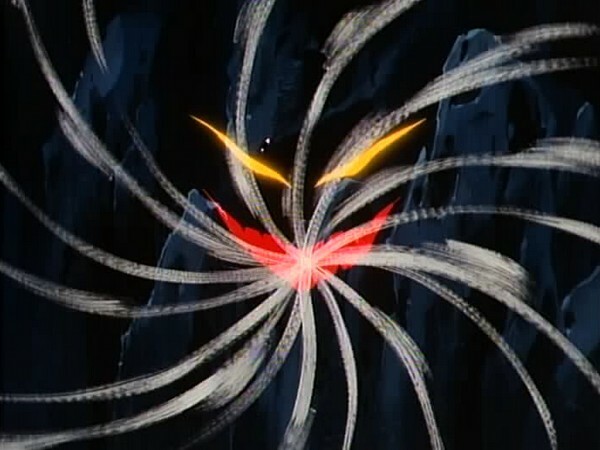 It’s worth noting that, in the show’s second season, this ploy was attempted by Mumm­Ra to set the original ThunderCats against the “new” ThunderCats, Lynx­O, Ben­Gali and Pumyra, a scheme that was effective because the two groups were still settling in together and had not yet reached the level of trust and “family” enjoyed by the original Third Earth ThunderCats. 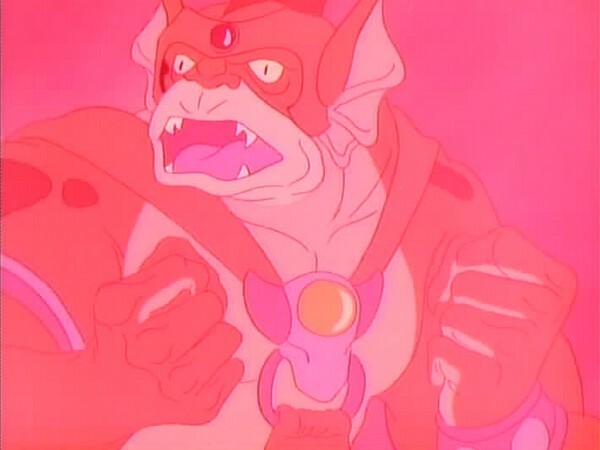 With that angle closed off as a viable option, instead in this episode the Mutants employ Vultureman’s voice changer device to try and separate the ThunderCats and ensnare them in their own individual traps. This had been attempted before with not inconsiderable success, notably in “Snarf Takes Up the Challenge” (which, interestingly, has more than one nod to it included within this episode). However, as a plan it is at best a hit­and­miss prospect, for throughout their time on Third Earth the ThunderCats are regularly seen venturing out on their own, splitting up to cover more ground, etc., and individually are normally more than capable of handling themselves against anything other than the most deadly of threats. Ironically, it is their young leader, Lion­O, who proves most susceptible to threats and dangers he cannot handle, partly because of his possession of the Sword of Omens (the prize that all evildoers wish to obtain), partly because of his immature personality early on in the series which leads him into trouble, and partly by the writers as a means of inserting into the episode the obligatory stock footage of Lion­O summoning the others with the Sword of Omens! 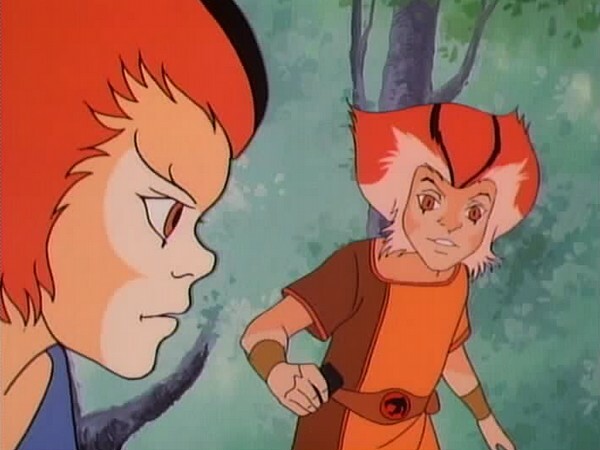 At the conclusion of this episode, Tygra states that they (the ThunderCats) caused a lot of the episode’s problems themselves by not calling for help when they needed it. Whilst this may be true, as a moral for the episode it is, it has to be said, extremely weak – for, based on past experience, the ThunderCats should not think that there is any major threat that they cannot handle individually, and when called upon to aid or rescue another ThunderCat from danger (which is the fictional scenario that Vultureman’s voice changer device presents to each of them), a credible case can be made for them not taking (and potentially wasting) the time to call upon the others for aid but instead acting upon their own initiative. Perhaps the most redeeming feature of this episode is that it boasts several entertaining action sequences, in particular the one­on­one fight sequences mentioned earlier. However, even these are let down by the mediocre and at times downright poor animation that prevails throughout the episode. And yet, somehow, this episode manages to avoid being relegated to the same levels as some of ThunderCats’ poorest episodes, simply because it does actually achieve what it sets out to do with relative effectiveness – it weaves a simple and relatively original story with lots of action sequences and adds to the required 65 episodes needed to fill the show’s first season. Does it succeed? Yes. Does it succeed with spectacular and memorable results? Sadly, the answer to this is no, and for this reason, when judged against most of the other episodes of ThunderCats’ first season, it unfortunately comes up short. An animation error early on in this episode shows Wilykat without his wristbands, which mysteriously reappear in the very next shot! The stock footage of Lion­O looking through the Sword of Omens’ crossbars to call upon “Sight Beyond Sight” is some of the most frequently used in the entire series – however, this episode features a rare appearance of the footage being played in reverse, with the crossbars curling back to normal once Lion­-O has finished looking through them! Once again, as with “Return of the Driller”, this episode showcases giant insects inhabiting Third Earth, in this case giant bees complete with giant beehives! This episode marks the second appearance of the Giantors, when one of their race attacks Tygra. This is the first time they’ve appeared in 44 episodes, although they were referenced by name in “Secret of the Ice King”. 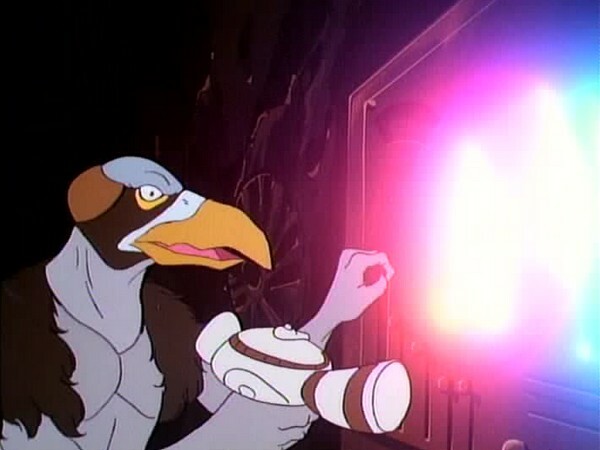 The grappling ray that Vultureman used to capture the Thunderkittens in “Snarf Takes Up the Challenge” makes another appearance in this episode, only this time it’s given a name when S­S­Slithe refers to it as “the Glidepath”. 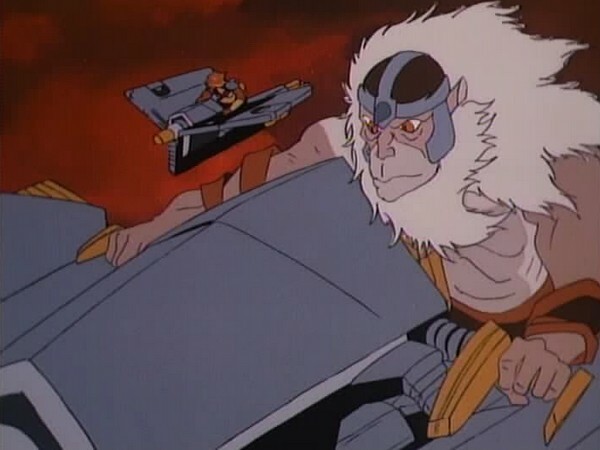 A lot of the footage from its first appearance is also reused, but substituting footage of it capturing Panthro and the Thundertank instead of the Thunderkittens. Although the Vortex had been seen previously in the series, notably in “Lion­O’s Anointment First Day: The Trial of Strength”, this episode gives us our first look inside it, where it is shown to be almost alive! In an additional reference back to “Snarf Takes Up the Challenge”, at the conclusion of this episode we see Snarf use his abilities to communicate with animals to speak to the giant bee. 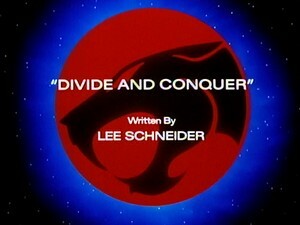 This is the first of four ThunderCats episodes to be penned by Lee Schneider. 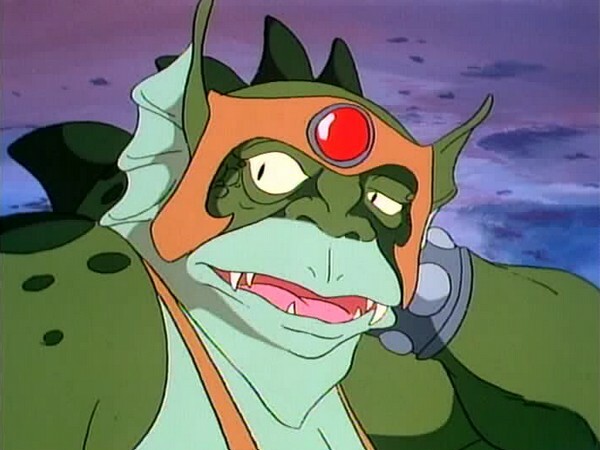 In addition to his work on ThunderCats, Lee also contributed scripts to other animated series such as Captain N and the Super Mario Bros. SilverHawks, and Teenage Mutant Ninja Turtles, as well as an episode of the soap opera Falcon Crest and several episodes of the show Modern Marvels for the History Channel, for which he also served as Producer for three of his episodes.